There are 17,305 matches on this list. 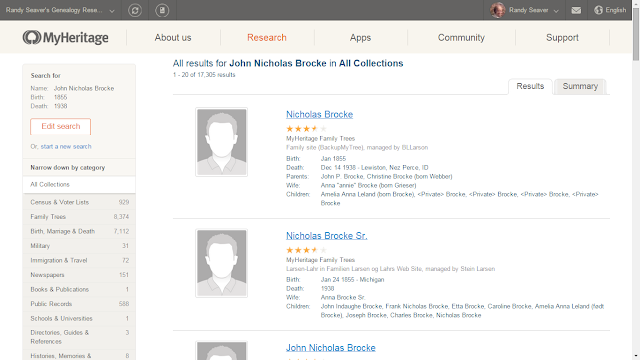 I didn't look at all of them. Note: I stopped looking after match #600. As you can see, the search found 4 census records for John Nicholas Brocke, at least 5 other family tree records, and another 11 records where he was not the principal person. 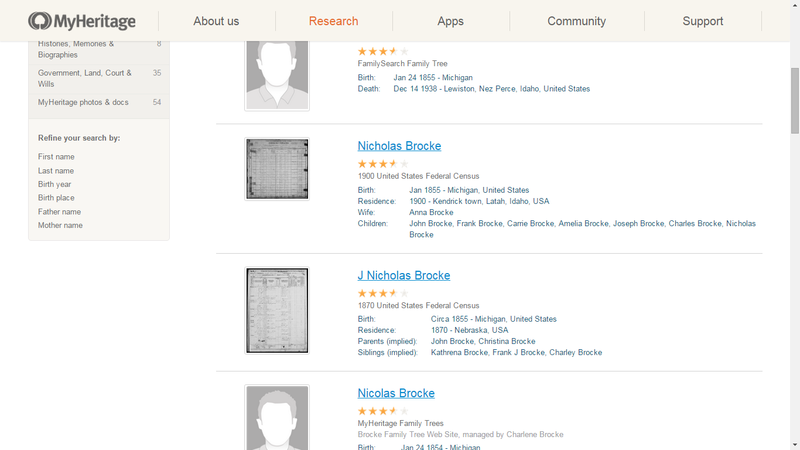 This search did not find a birth record, a baptism record, a marriage record, a death record, a burial record, a 1910 U.S. Census record, or an 1880 U.S. Census record for Nicholas Brocke. 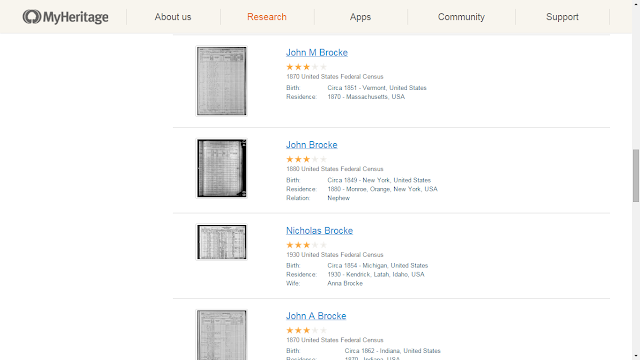 Obviously, any search depends on the information put into the search fields and the name variations used in the search algorithms, and the available record collections on the website. There may be other records for this person on MyHeritage that have different name spellings, different birth information, etc. 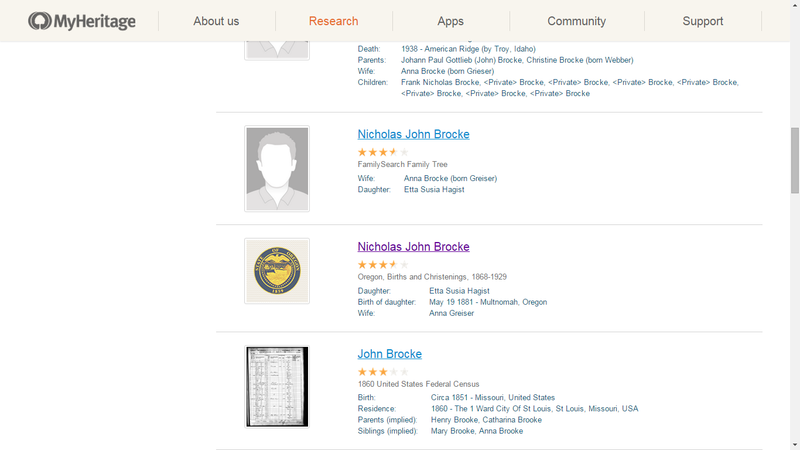 FamilySearch used first and last name variants, and searched for a birth date and a death date, but not a birth or death place, on MyHeritage.com. 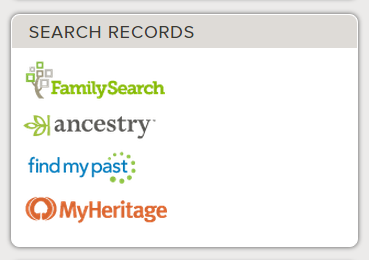 This was comparable to the FamilySearch and Ancestry.com searches.